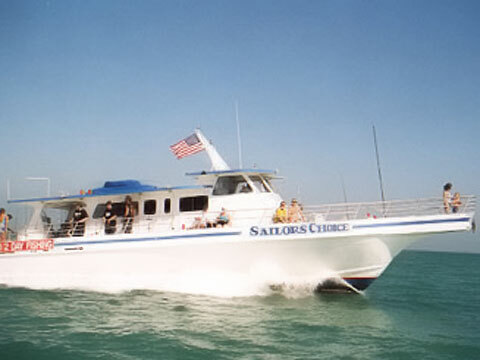 Fish Key Largo aboard the Sailors Choice, a custom built all aluminum 65' party boat. Departing daily from the beautiful Holiday Inn Marina, just a short boat ride to the fishing grounds in the Atlantic Ocean. Our daily catches are predominately snapper and grouper, but everything from amberjack to wahoo have been caught aboard the Sailors Choice. Catch and release or keep to eat. Families and children welcome, no fishing experience is required. Our courteous and friendly crew will assist you.